Coconut oil has been proven to reduce protein loss whether your hair is damaged or not, it has a high affinity for proteins. Protein is what helps keep our hair strong and we lose a little every time we manipulate our hair. 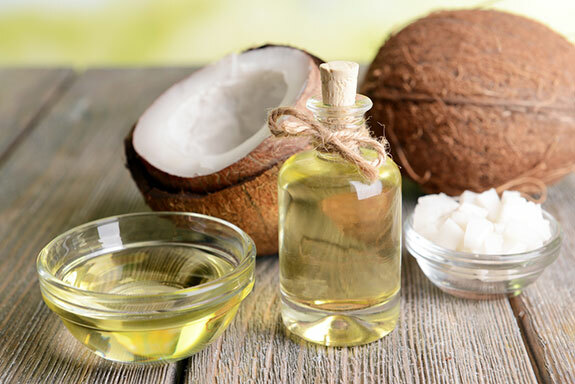 Due to its low molecular weight and straight linear chain, coconut oil has the ability to penetrate the hair cuticle unlike other oils like mineral oil and sunflower oil. 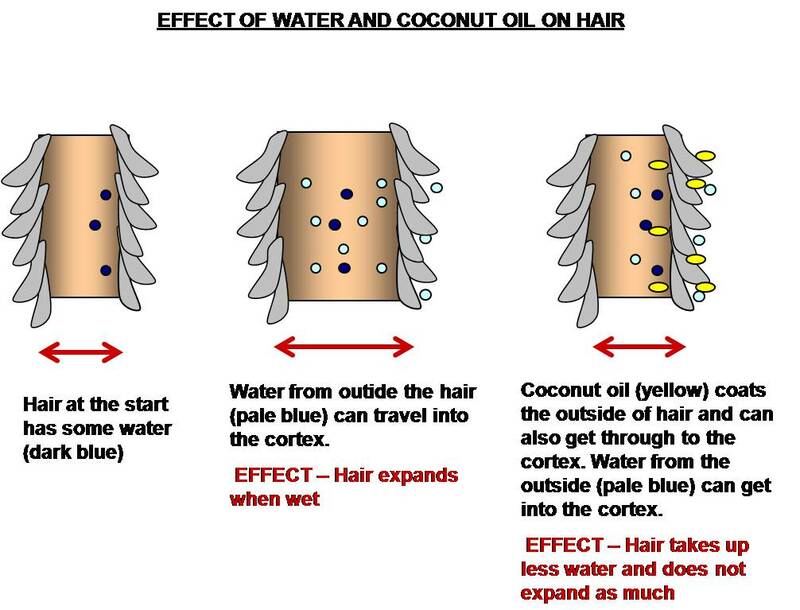 Coconut oil has the ability to help your hair retain moisture since it is not easily broken down. The anti-fungal and anti-bacterial properties of coconut oil make it great for helping to cure or prevent scalp conditions such as dandruff. It also has a high amount of vitamin E which is a powerful antioxidant. Hygral fatigue is damage to the hair that occurs as a result of the repeated process of the hair expanding while wet and contracting when it is drying. Everytime hair is wet it absorbs water and expands, as it dries, it releases water and contracts. Coconut oil can help combat the effects of hygral fatigue especially when used as a pre-poo treatment. Coconut Oil is truly a Super Star! Used as a pre-poo treatment or mixed with your deep conditioner, there are many ways you can use it in your hair care regimen. Give it a try and let us know how it works out. Read more over at The COCO Magazine. Hey! Great blog! I love finding other Caribbean bloggers. What brand coconut oil to you use? Most of the ones that I've tried have such an overpowering scent! Doesn't the oil make your skin even "oiler"? Happy Posting! The brands of coconut oil I have used are Nutiva, Spectrum and Nature's Way, I buy what I can get here in Trinidad. They all smell great, nothing like what my grandparents used to make lol. The key words I look for when buying coconut oil are Unrefined and Cold-Pressed. Coconut oil actually leaves my skin feeling smooth and silky as opposed to oily, it's great, I love it! I'm acne prone and evco is lovely for my skin. My skin made a tremendous comeback with using it as a face moisturizer. My hair loves it too. I haven't used it on my body all that often. However, I have whipped up some shea butter with mixing in some evco. Yum. I ran out a while ago and pretty much forgot about it! Go get some! Coconut oil is the one product I never run out of. I can't do without coconut oil. My daughter and I use about 1 litre every month...hahhahahhaha.....a bit heavy handed here but we mix it in everything and prepoo with it too. Love, love, love.......love coconut oil loads! It is the BOOM! Can't do without it. Hey hon, I nominated you for a Liebster award! Have fun! Yeaaaaa! My 2nd award! lol Thanks Phoenix! Trim Turned Haircut From Hell!